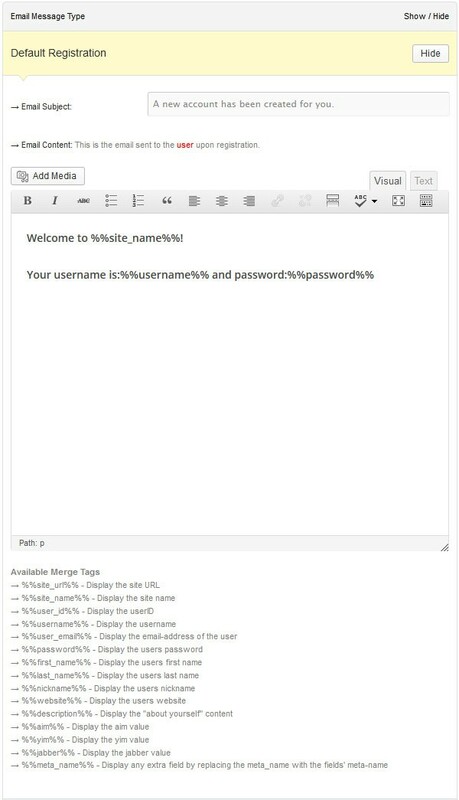 Trying to customize the WordPress Registration Email normally means copy pasting a custom php function and then modifying it to fit your project. But what often happens is that you’re not sure how to implement this because you’re not a developer and you’re not sure how to use the filters that are setup in place. 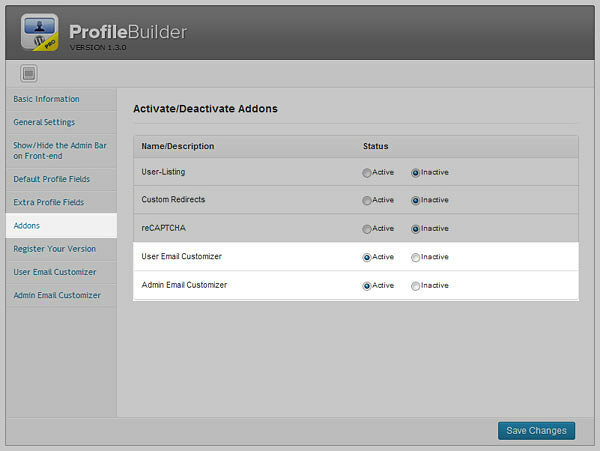 All that and more is possible with two new addons for Profile Builder Pro 1.3.0. With Profile Builder Pro 1.3.0 we’ve created a new set of features especially for you. Customizing the WordPress Registration Email won’t mean spending hours on the forums trying to figure it out! Start of by activating the new Email Addons. Just put the User Email Customizer and Admin Email Customizer to “Active” and save the settings. Besides the general Name and Email address from where these emails are sent (by default we have the site name and wordpress@sitename.com), here you can customize all the emails sent to the users, depending on which settings you have activated in Profile Builder. Registration with Email Confirmation – For customizing the email with the activation link. 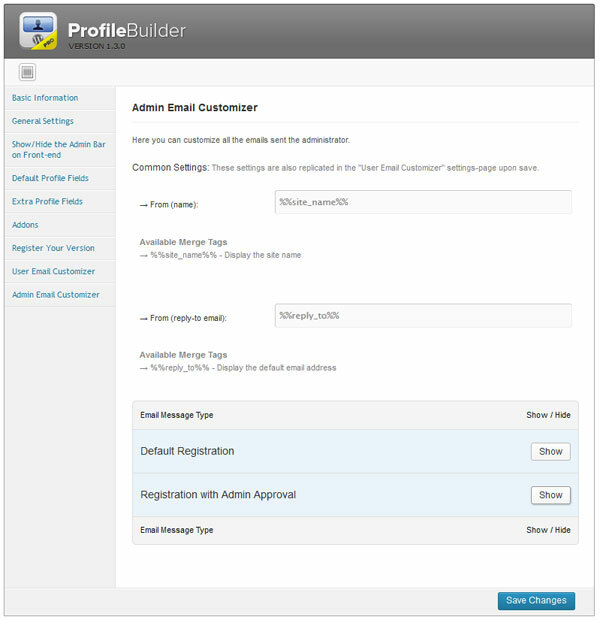 Registration with Admin Approval – Customize the Email letting the user know an Administrator needs to approve his account. 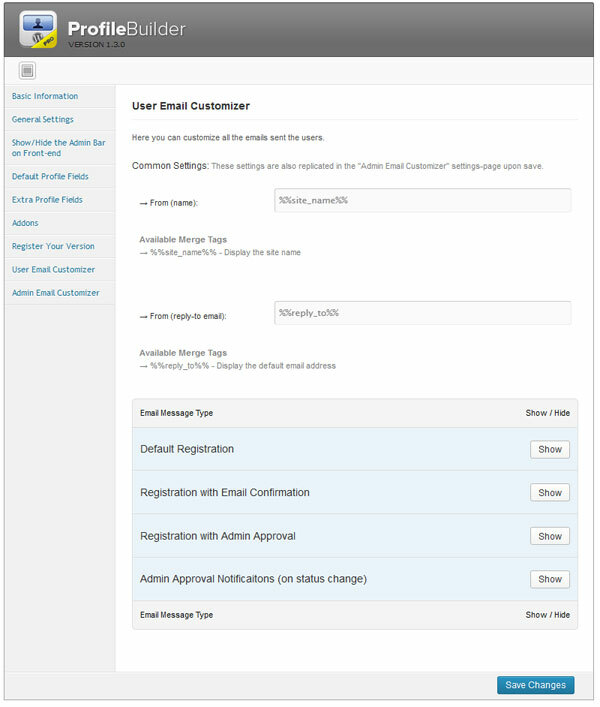 In a similar manner to the User Email Customizer, all admin notification emails can be customized. Registration with Admin Approval – If Admin Approval, a different email then the default one is received by the admin. This is to gently remind the admin he should approve the new user. If you’re an existing client of Profile Builder Pro you’ll automatically get the new version via Automatic Updates or you can download the latest version via the Account Page. Want to Customize your WordPress Registration Email? Lean more about Profile Builder Pro. Hi Cristian, I’d like to know if there is any way to notify another email address for newly registered users?